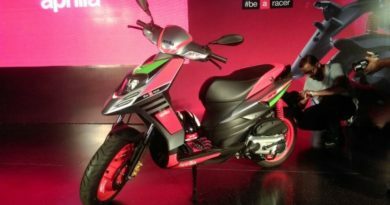 Aprilia owned by Piaggio Group has launched the racier version of its scooter- the Aprilia SR150 Race. The pricing for it has been kept at ₹ 70,282 (ex-showroom, Mumbai). The SR 150 Race is introduced in less than six months after the regular SR150 scooter was launched in India and comes with Aprilia’s RS-GP inspired body colour and graphics. Along with the standard version, the SR 150 Race will be sold via the Motoplex and Vespa outlets across India. 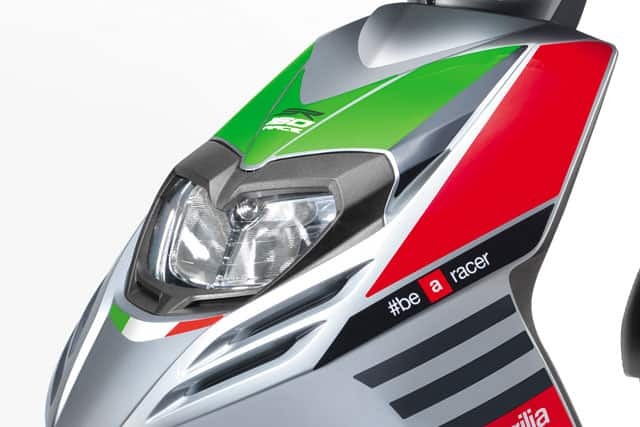 As seen in the pictures, the new Aprilia SR 150 Race gets covered in the bike maker’s racing colours. 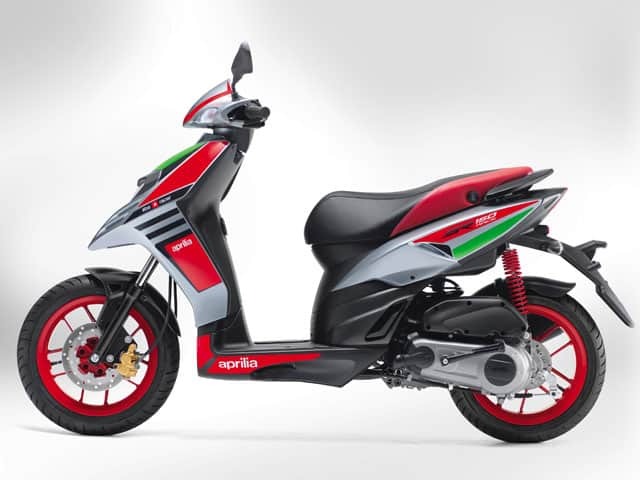 While design has remained unchanged, the scooter now sports a grey base tone with red and green body stickering, red alloy wheels and gold finish front brake caliper. 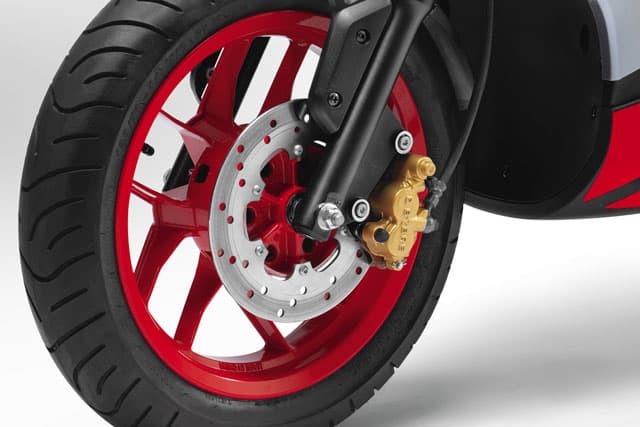 The rear shock absorber is painted red, while the black and red seat has been carried over from the standard version. Aprilia mentioned that the suspension spring have been tuned for faster acceleration. The engine mounted in the Aprilia SR 150 Race is the same 154.4 cc single-cylinder, air-cooled engine tuned to produce 10.4 bhp at 7000 rpm and 11.5 Nm of torque available at 5500 rpm. 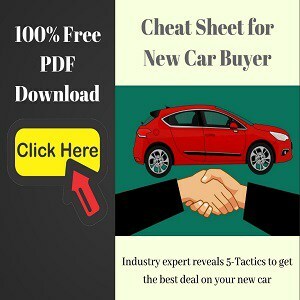 The motor is paired to an automatic CVT transmission. Low kerb weight of just 122 kgs translates into an appreciable power-to-weight ratio. 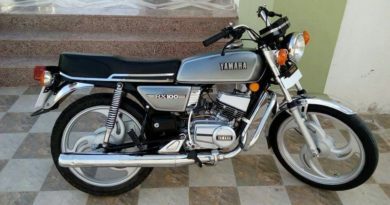 The SR 150 features telescopic front forks and dual shock absorbers at the rear, while the stopping power comes from the disc brake at front and a drum brake on the rear wheel. 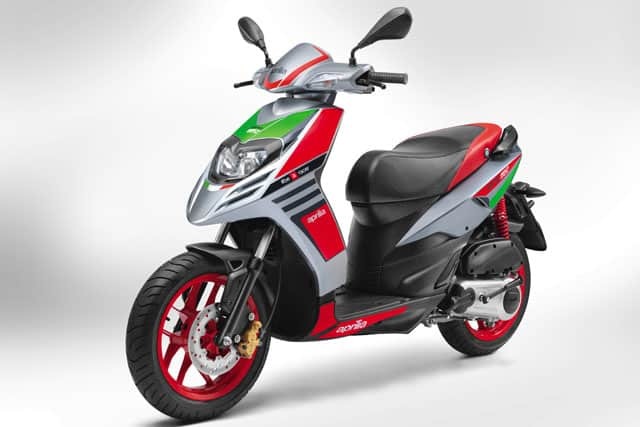 The Aprilia SR 150 doesn’t really have any direct rival in the 150 cc scooter segment due to its unique value proposition. The sporty character of the scooter has made it desirable for the motorcycle buyers as well, given its proven ride dynamics and good pricing. Not to mention, the Aprilia brand name.